When will they come? Plummeting temperatures and the search for food will trigger migration, but when will that be? Through September, I’m listening for their distinctive calls, eager for a first sighting. In October, I listen for their passage in the silence of the midnight sky. Soon, it must be soon. I know where to find them. 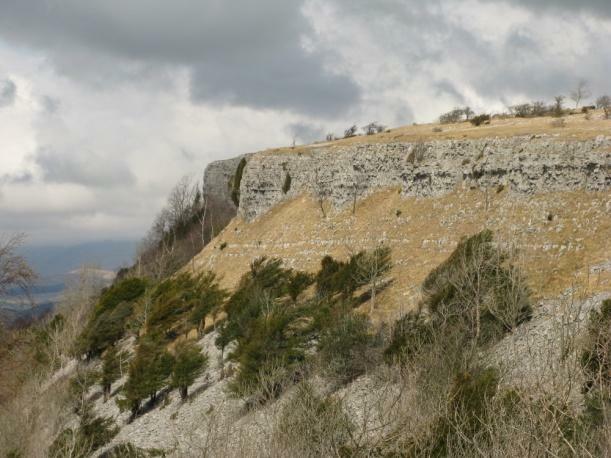 The limestone escarpment of Scout Scar has a mantle of yew trees growing on the scree buttress below the cliff terrace. 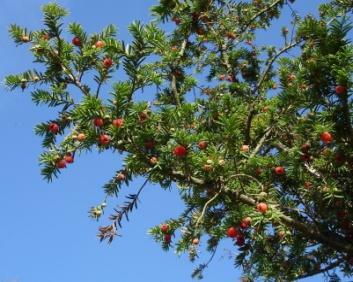 And in the parkland of Helsington Barrows they descend on the yew to delve amongst needle-like leaves and feast on the fleshy red arils. At this season, there are tell-tale blobs of red jelly on branches where the birds have gorged, and a scatter of berries on the ground beneath the yew trees. Everything depends upon a coincidence of weather, time, and place and how can you plan for that? fieldfare, redwing, and perhaps waxwing. And thousands of small birds were logged arriving at Spurn Point on the east coast: goldfinch, greenfinch with sparrow hawk in pursuit; some 1,300 migrating goldfinch to swell the numbers of the native population. A very warm day, hazy over the fells and so still that sound carried. On Helsington Barrows mistle thrush and fieldfare were attracted by yew arils. In a flutter of pale under-wings, fieldfare plunged deep in the dark yew foliage after those red arils, then took fright and flew up into the high trees. What nervous birds they are! Fieldfare, redwing and greenfinch with goldfinch in a single larch: a horde of migrants. A red admiral fluttered through the glade and settled on limestone: winter thrush and butterflies. The chatter and bustle of feeding redwing and fieldfare was punctuated by the deep, resonant call of a raven. Spooked by a walker, the birds erupted from the trees and flew off calling, their colour caught in sunlit flight. There were so many the numbers scarcely seemed diminished. Next day dawned dull, with low cloud and drizzle but the sombre trees were noisy with winter thrush. On Friday 21 October Chris Packham said there would be a warm wind from the south, from Spain and France, locking birds yet to migrate in Scandinavia. 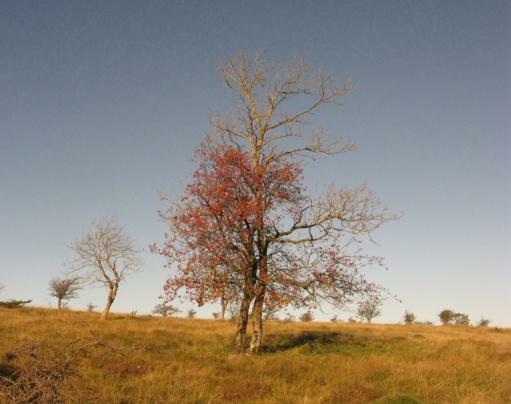 His forecast was a good fit for my local patch: a fine, sunny Saturday on Scout Scar and Helsington Barrows but that first migration wave of fieldfare and redwing had moved on and the trees were silent. A mild November day of unsettled weather with the light constantly changing. Somewhere it was raining and a rainbow grew brighter, with a hint of double bow. High against the grey- blue cloud, sunlight caught the brilliance of a flight of Arctic swans heading south. As daylight dwindled the rainbow lost its spectrum of colours and hung against rosy clouds in an arc of deep pink. Next day’s Autumn Watch fell on 11.11.2011, Armistice Day, and the first Bewick swans arrived at Slimbridge on annual migration from Arctic Russia. Rather late this year. Season of poppies and Arctic swans. What a journey and what navigation! Waxwing had been spotted in the Orkneys and in the south east. The outreach of ‘Autumn Watch’ transforms the migration experience for naturalists across the country. Here is expert interpretation, meteorology and all that science brings. These avian migrations are tracked and charted with the help of radio tags and satellite transmitters, with knowledge advancing exponentially to underpin conservation programmes. 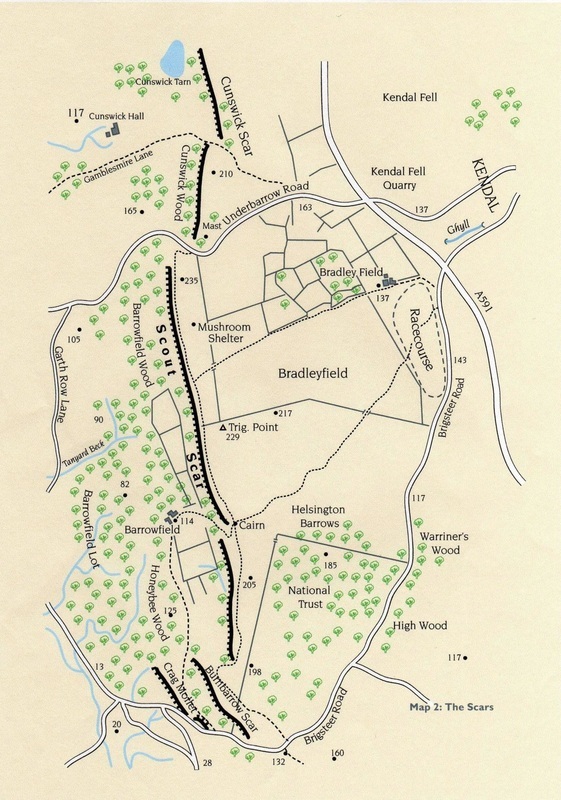 What would Thomas Bewick, late 18 century ornithologist and engraver, have made of all this! In the week before Christmas I met David Horrobin up on Scout Scar- he’s been a birder since he was ten years old and we compare notes from time to time. This year, neither of us had seen anything to match that October influx of migrating birds. So thanks to ‘Autumn Watch’ for all that information. No doubt Chris Packham could tell me where my Scout Scar birds will be spending the winter and why they left when there was such a crop of berries right here.